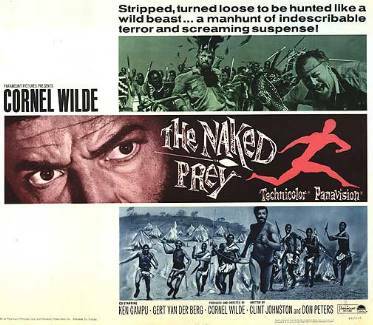 Glamorous leading man turned idiosyncratic auteur Cornel Wilde created in the sixties and seventies a handful of gritty, violent explorations of the nature of man, none more memorable than The Naked Prey. 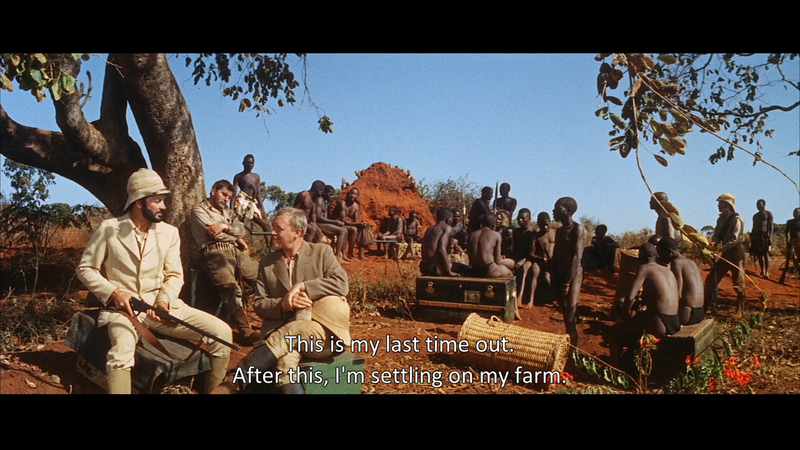 In the early nineteenth century, after an ivory-hunting safari offends an African tribe, the colonialists are captured and hideously tortured. 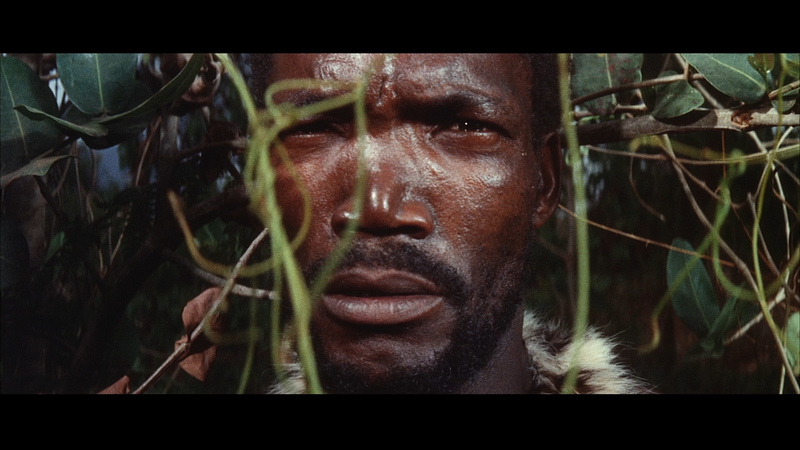 Only Wilde's marksman is released, without clothes or weapons, to be hunted for sport, and he embarks on a harrowing journey through savanna and jungle, back to a primitive state. 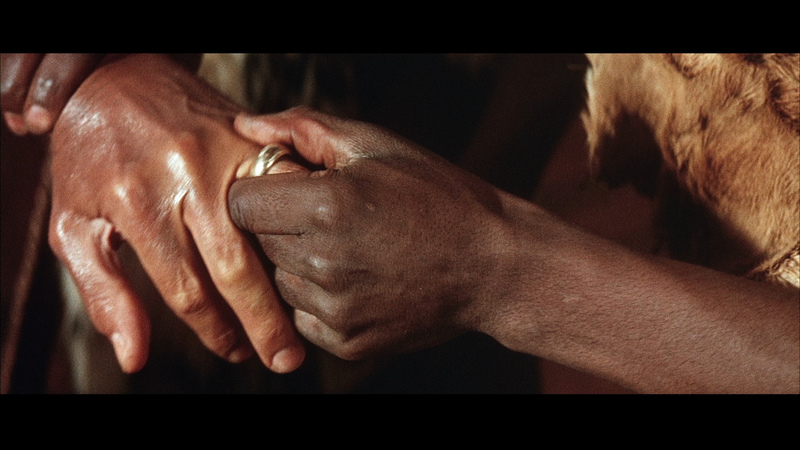 Distinguished by vivid widescreen camera work and the unflinching depiction of savagery, The Naked Prey is both a propulsive, stripped-to-the-bone narrative and a meditation on the notion of civilization. 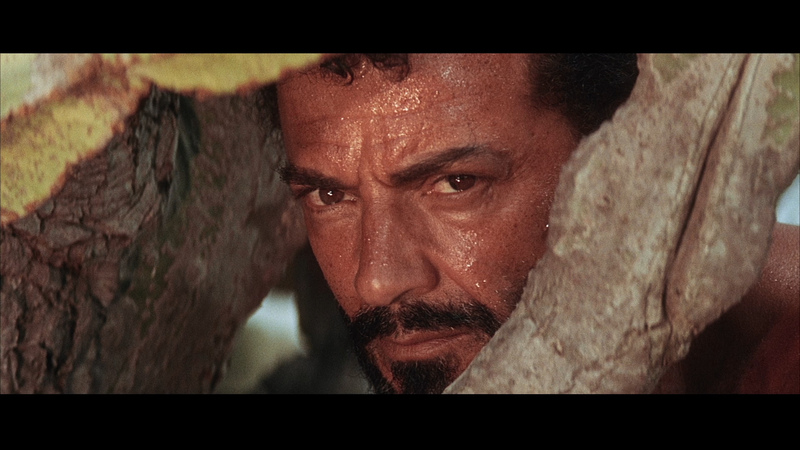 Known mostly as an actor of the studio era, Cornel Wilde took on a parallel career as an independent producer, writer, and director to create a series of films that explored man in the midst of extreme dramatic situations and The Naked Prey is perhaps his most personal and violent rumination. 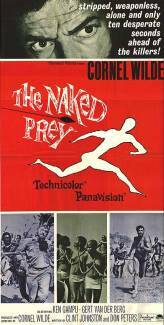 The Naked Prey remains a special entry in the cinema of actors-turned-auteurs, which also includes such luminaries as Robert Montgomery, Charles Laughton, and Ida Lupino. 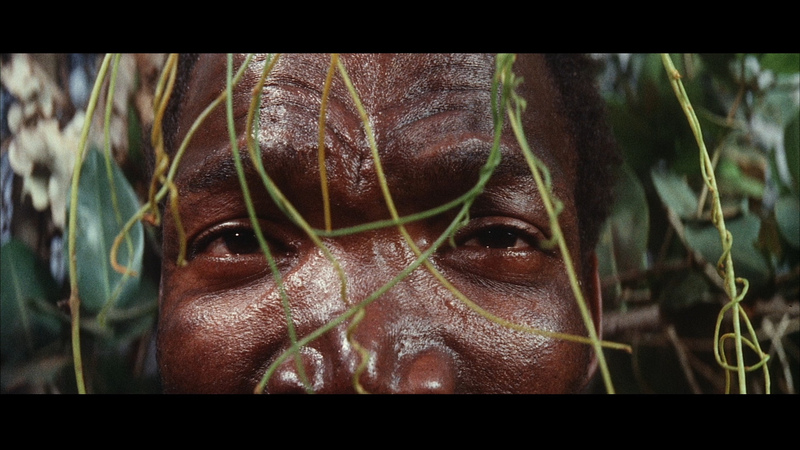 The leader of a safari offends a native tribe, which retaliates with a bloody attack. Two of the white men in charge are subjected to horrible deaths. 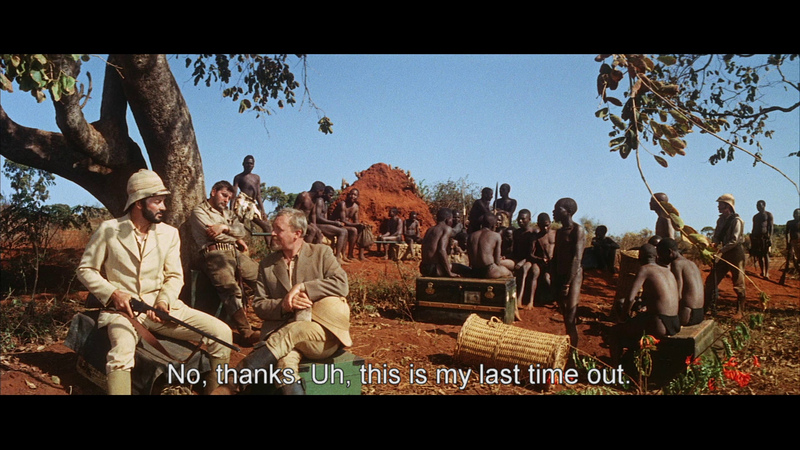 The last, the safari guide (Cornel Wilde) is given a lion's chance to survive. Stripped naked and given a short head start, he's pursued by the tribe's leading warriors through the rough African countryside. 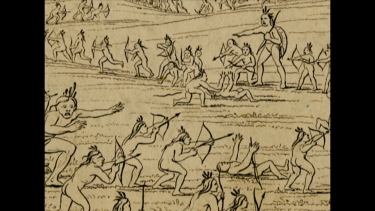 The guide overpowers several of the warriors and by setting a brush fire manages to keep ahead of their spears and arrows. 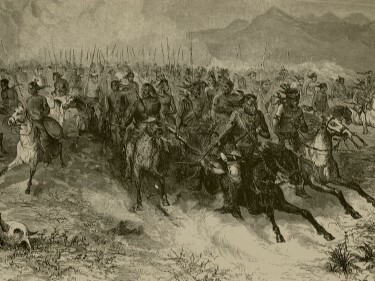 Some of the tribesmen would rather quit but their leader (Ken Gampu) forces the party to press on. ADDITION: Criterion - Region 'A' - Blu-ray (September 2018): The new Criterion image is slightly richer with more pure black levels than the Masters of Cinema 1080P with a very slight movement in the frame - but for most this difference will be less noticeable in-motion. So, the Criterion looks great - slightly improved. 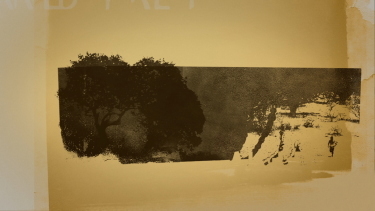 No difference that I could hear in the adept audio transfer. The original English (and native tribal language) audio is transferred via a linear PCM mono track at 24-bit. Effects do give us some depth and it sounds very strong in the lossless. 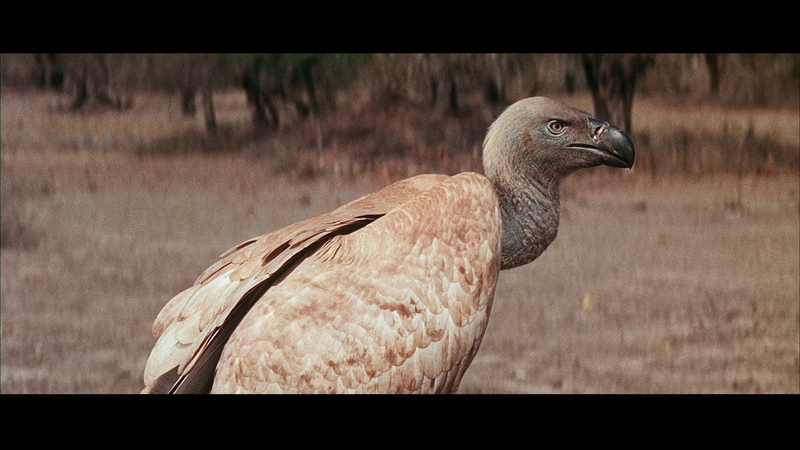 Edwin Astley (1962's The Phantom of the Opera) score, adds to the imminent and anxious atmosphere of the narrative with the bass of native drums sounding notably rich and deep. 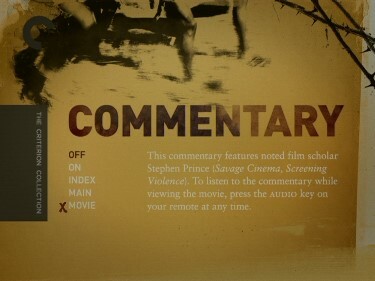 There is are optional English (SDH) subtitles and the Criterion Blu-ray disc is Region 'A'-locked. Supplements duplicate Criterion's 2007 DVD: "Supplements include a professional and prepared audio commentary by film scholar Stephen Prince who gives us some interesting background on Cornell Wilde and the uniqueness of the film its time of creation. Prince has a great voice as a commentarist and I enjoyed listening very much. 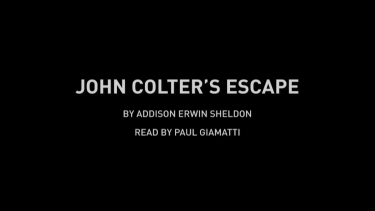 We are also given "John Colter’s Escape," a 1913 written record of the trapper's flight from Blackfoot Indians—which was the inspiration for The Naked Prey— and read by actor Paul Giamatti. 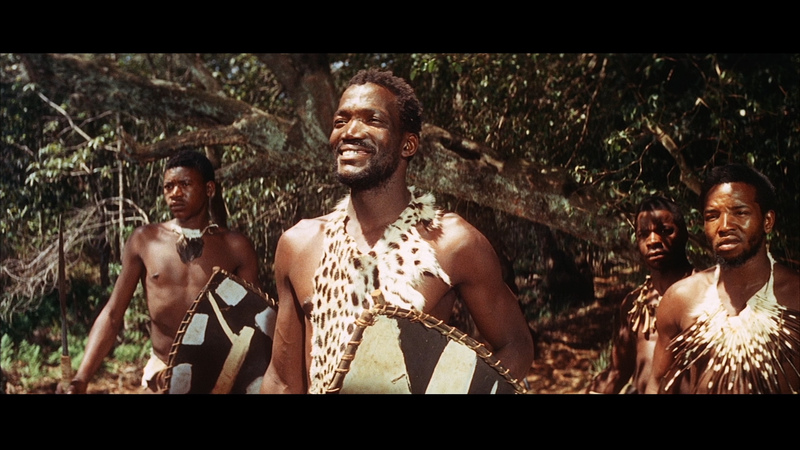 There is some insight into the original soundtrack cues created by director Cornel Wilde and ethnomusicologist Andrew Tracey, along with a written statement by Tracey on the score. Finally in the digital area is a 1:49 theatrical trailer. Criterion offers a beautifully appointed 30-page liner notes booklet featuring a new essay by film critic Michael Atkinson and a 1970 interview with Wilde." 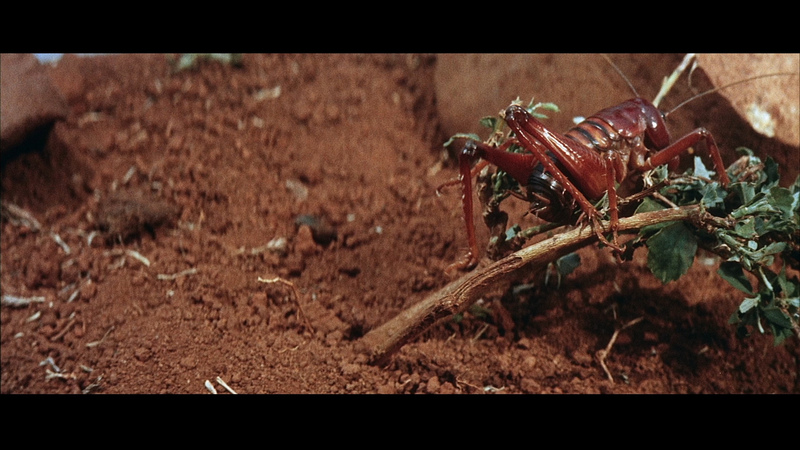 Another strong release, the marginally richer visual quality and commentary may vault it ahead for those very keen to own the best existing Blu-ray release of this film on survival, desperation, respect in such an adventurous atmosphere. Always recommended! ADDITION: Masters of Cinema - Region 'B' - Blu-ray (October 2015): Masters of Cinema's 1080P transfer is on a dual-layered disc with a max'ed out bitrate and looks gorgeous. 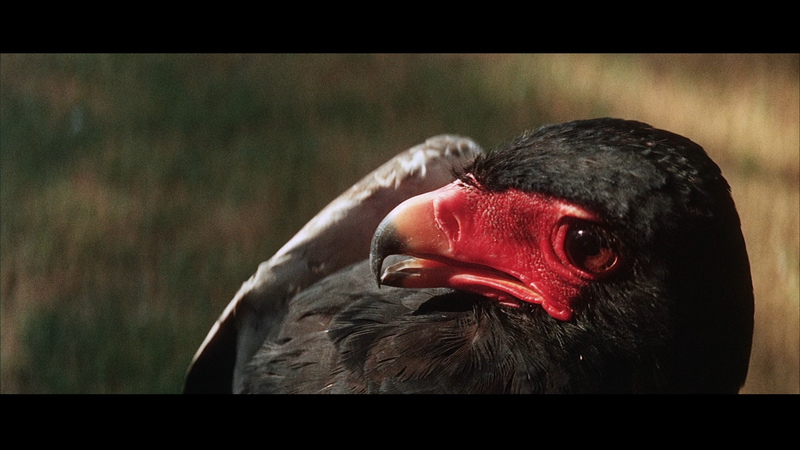 What a beautiful film to bring to HD. 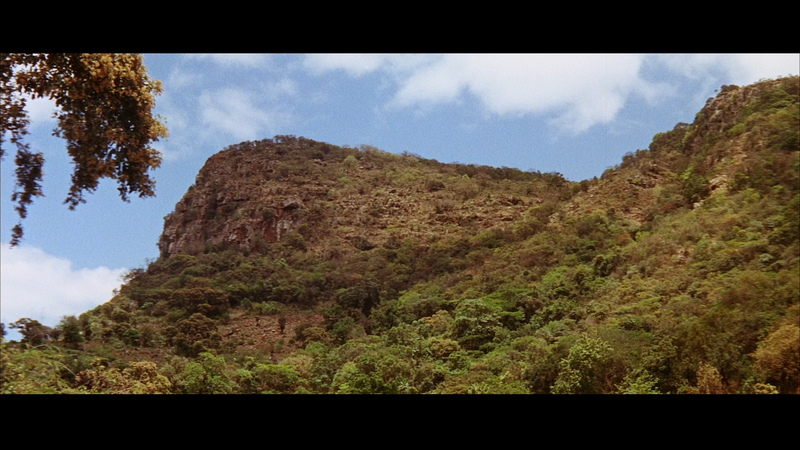 The visuals are dramatically sharper than the 2007 SD treatment and colors are tighter. You can see frequent depth - it looks marvelous in-motion. Double 'Wow'. 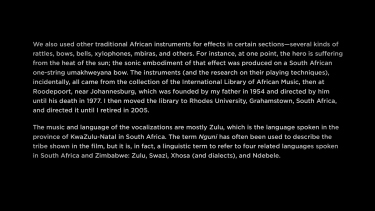 The audio is the same as the Criterion - discussed above. 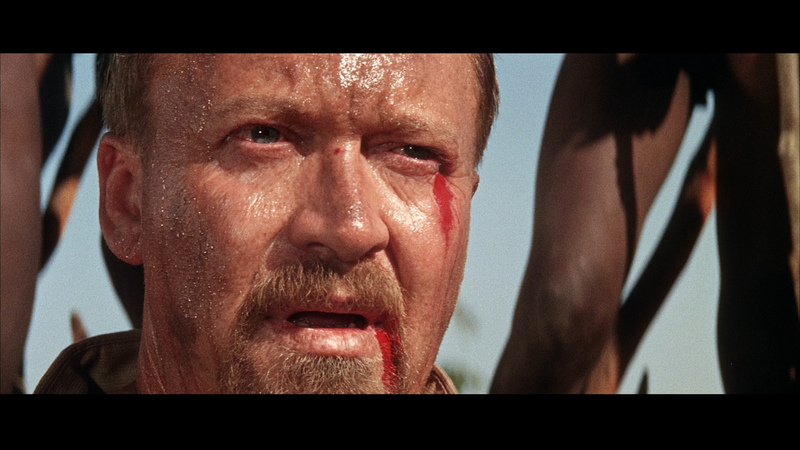 There is are optional English (HoH) subtitles and the Masters of Cinema Blu-ray disc is Region 'B'-locked. 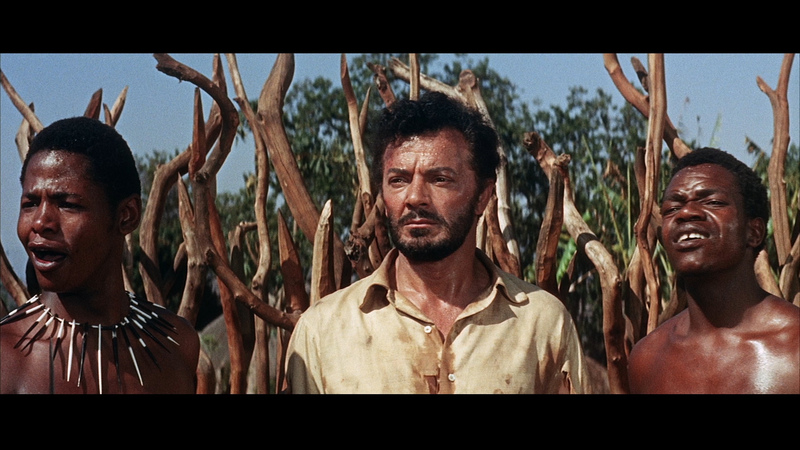 MoC include a new 1/2 hour interview with film historian Sheldon Hall who brings details on Cornel Wilde and concerns of the pre-production, examples of similar films with the chased hunter premise, even defending The Naked Prey as not being a racist film and does a fine job explaining details that give a nice frame of reference to the story. 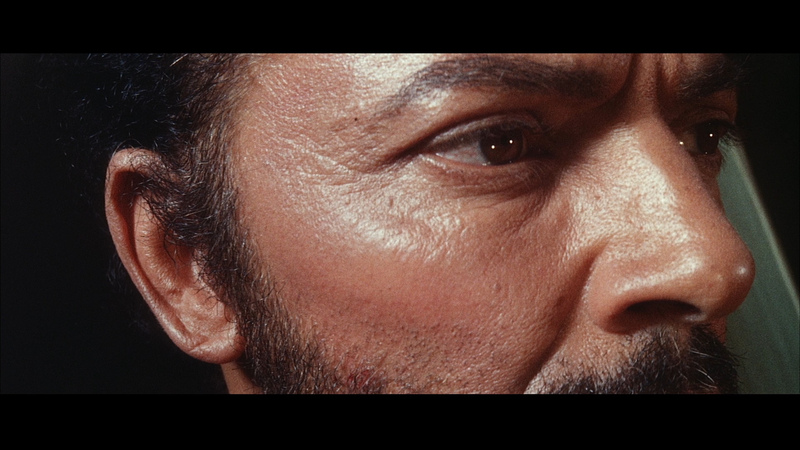 There is also a trailer and the package has a booklet containing a 1970 interview with Cornel Wilde, and the original 1903 basis for the film ''John Colter's Escape''. 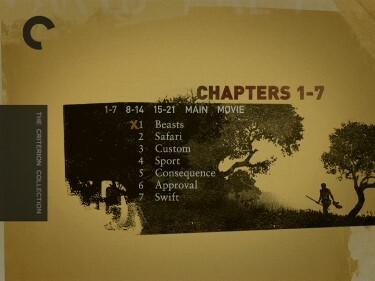 Being Dual-format a second disc DVD, of the feature, is included. Excellent package - the a/v is so impressive and the Blu-ray disc provides a great presentation with the video supplements adding further value. This is a keeper. Our highest recommendation! 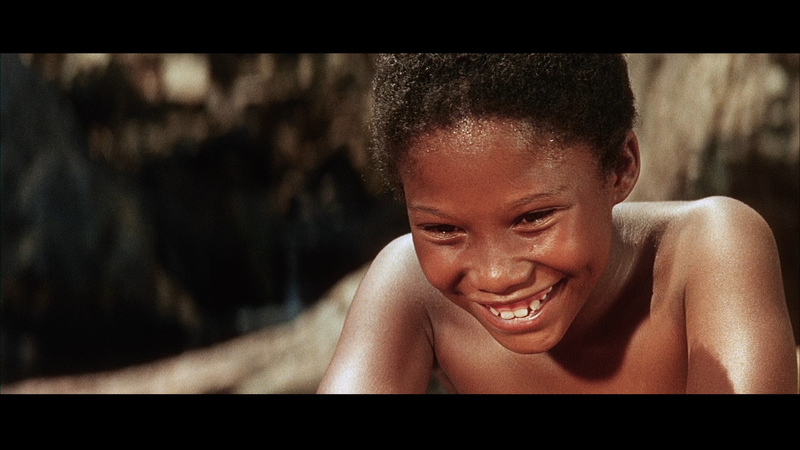 ON THE DVD: The highly competent, if not totally pristine, 2.35:1 anamorphic and progressive transfer from Criterion on a dual-layered DVD is fairly clean - free of blemishes and devoid of intrusive digital noise. The Technicolor hues come to life fairly well and contrast and black levels are excellent (some possible selective boosting). The only knock might be the sharpness but for all we know this is how detailed it looked theatrically. 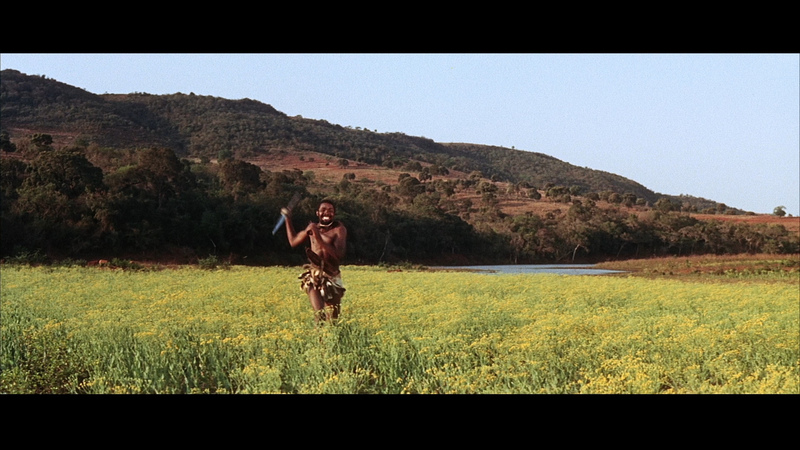 Barring 1080 resolution (at some point) this is the best The Naked Prey will ever look on Standard DVD. It has consistent mono audio (very little dialogue) and optional English subtitles (but not for the African dialogue). 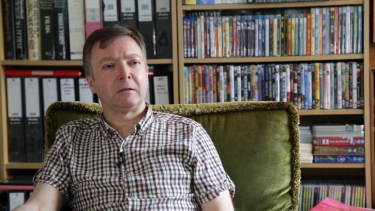 Supplements include a professional and prepared audio commentary by film scholar Stephen Prince who gives us some interesting background on Cornell Wilde and the uniqueness of the film its time of creation. Prince has a great voice as a commentarist and I enjoyed listening very much. 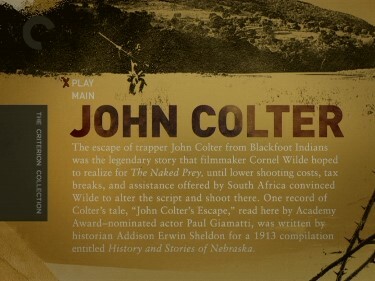 We are also given "John Colter’s Escape," a 1913 written record of the trapper's flight from Blackfoot Indians—which was the inspiration for The Naked Prey— and read by actor Paul Giamatti. 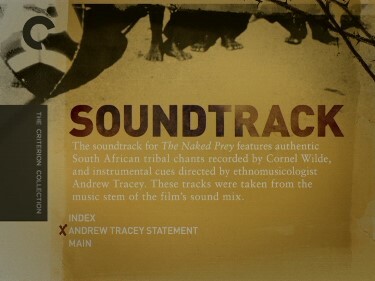 There is some insight into the original soundtrack cues created by director Cornel Wilde and ethnomusicologist Andrew Tracey, along with a written statement by Tracey on the score. Finally in the digital area is a 1:49 theatrical trailer. Criterion offers a beautifully appointed 30-page liner notes booklet featuring a new essay by film critic Michael Atkinson and a 1970 interview with Wilde. I had only seen this film once many years ago but it stuck in my memory and I am extremely happy to both revisit and own this Criterion package. This is a very cool 'boys adventure' with some surprising depth. Recommended!